Hatteras Island native Daniel Pullen is the descendant of 9 Cape Hatteras lighthouse keepers. 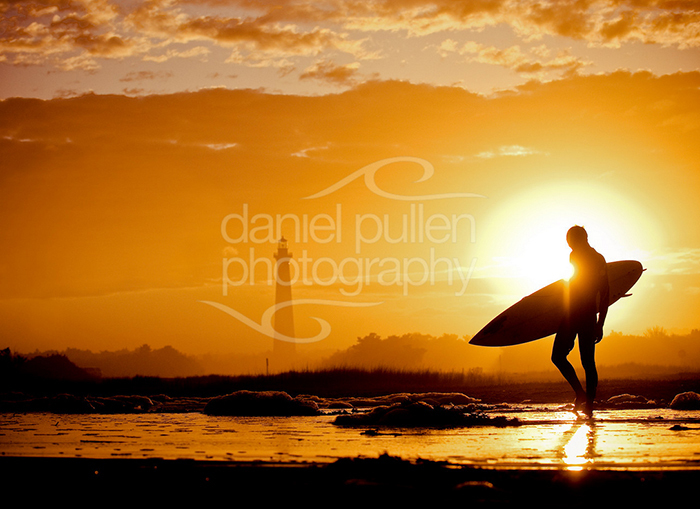 His photography has been published by the world’s leading surf publications and he has become one of the leading photographers on the Outer Banks. His fine art photography is available for sale online in a variety of formats from gorgeous 5 foot wide photo canvases to incredibly affordable 8×10 fine art prints. Daniel’s intimate knowledge of the Hatteras Island landscape and his gift for lifestyle photography make him one of the most popular portrait and wedding photographers on the Outer Banks. Is your family planning a 2015 beach vacation? A portrait package would make a memorable gift. If you know a bride-to-be getting married on Hatteras Island a wedding package would make an amazing Holiday and Wedding gift. Be sure to book next week for 10% off!